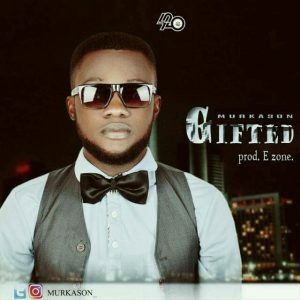 Afro fusion And Hip hop unSigned act MURKASON returns with the world class Anticipated song after dropping SOKE, TRIPS, MOTION among others, Murkason blesses us with Another laced Production Beat of E Zone to deliver a new tune titled GIFTED. Enjoy!! Listen & Download “Murkason – Gifted” Below Right Here On Ariyabase Media.